Is one of your Dashboard Indicator Lamps on? 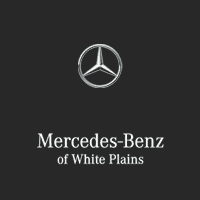 Mercedes-Benz of White Plains explains. Why is your dashboard light glowing? We have listed descriptions for each of several lights you might be seeing. The details below are informational and applicable to U.S. Mercedes-Benz models. Call a Service Advisor for more on the Dashboard Light Indicators at (855)-284-0038. ABS (Anti-Lock Brake System) has been deactivated due to a malfunction. ESP® (Electronic Stability Program), BAS® (Brake Assist), EBD (Electronic Brake force Distribution and hill start are also deactivated. The brake system continues to function normally, but without the functions listed above. You will be able to slow and stop, but without the additional safety provided by the Anti-Lock Brakes, stability and other systems. There is a malfunction in the SRS (Supplemental Restraint System). This may cause an airbag to not deploy in the event of an accident. We highly recommended you bring your vehicle to an Authorized Mercedes-Benz repair facility as soon as possible. By continually monitoring a variety of driving behaviors, this Mercedes-Benz innovation can audibly and visually alert the driver if it detects signs of drowsiness on long trips. You are driving with the parking brake on. Release the parking brake to avoid damaging the braking system. If the red coolant light is on you may have a faulty temperature gauge or the coolant level is too low. If the coolant temperature exceeds 248 degrees Fahrenheit (120 degrees Celsius), DO NOT DRIVE the vehicle. Driving the vehicle while the engine is this hot could otherwise damage the engine irreparably. There may be a malfunction in the engine management system, the fuel injection system, the exhaust system, the ignition system, or the fuel system. The emission values may have been exceeded and the engine may be breaking into emergency mode. Electronic Stability Control (previously known as ESP®, Electronic Stability Program) is deactivated. ESC will not stabilize the vehicle if it starts to skid or if a wheel starts to spin. Most vehicles have an ESC on/off button. If this icon should appear inside a yellow triangle, then ESC or traction control has intervened because there is a risk of skidding or at least one wheel has started to spin. Cruise control, if engaged, will be deactivated. If the light remains on the system may have been turned off. Your fuel level could be low or the fuel system pressure is too low. Check your fuel level and ensure the filler cap is securely fastened or replaced. The fuel filler cap is not closed correctly or the fuel system is leaking. The seat belt warning lamp reminds the driver and front passenger to fasten their seat belts. Fasten your safety belts. In addition, if you are driving faster than 15 mph without your seat belts fastened an audible warning alert will sound. The pressure in one or more of your tires is insufficient or has dropped significantly. Low tire pressure causes excessive wear on your tires and can contribute to a dangerous blowout. Pull over to a safe spot and check all tires. Refill or replace as necessary. The ESC (or ESP®) system has been deactivated. ESC will not stabilize the vehicle if it starts to skid or if a wheel starts to spin. Some vehicles are equipped with an ESP® on/off button. Try to reactivate the system or bring to a dealership. The battery is not being charged. Possible causes are a faulty alternator, a torn poly-V-belt, or a malfunction in the vehicle electronics. An Authorized Mercedes-Benz service center will be able to perform a diagnostics test to confirm the cause and recommend the necessary service. The brake pads and/or rotors have reached their wear limit and need to be replaced. Have your braking system inspected and worn elements replaced. We recommend using an Authorized Mercedes-Benz service center using genuine Mercedes-Benz parts. A light bulb has failed. Darkened bulbs lead to limited visibility, both of your vehicle by other drivers, and of the road ahead. This light may be accompanied with a message on the dashboard specifying which light is not operating. The power steering assistance is faulty. A warning tone will also sound. You will need to use more force to steer the vehicle, making some maneuvers unsafe or difficult. Your Authorized Mercedes-Benz service center will be able to diagnose the problem and recommend service to repair the fault. Diesel engines require heat in the cylinders to operate, which is supplied by glow plugs when the engine is cold. This light will be illuminated when the ignition is turned on until the plugs are heated sufficiently to start the engine. The image will look like a coil or loops in amber or yellow. The Diesel Exhaust Fluid (DEF) is low. The fluid creates a catalytic reaction to remove particles from the exhaust. It plays an essential role in your emissions system.